Sorry, there are only 1140 tickets of that type still available. Sorry, there are only 1140 tickets left for this event. Save when registering two or more people from your organization! Five complimentary tickets per Champion. Must be a member of the 2018/2019 VBSR/High Meadows Changemakers cohort. Consider donating to help VBSR offset the costs of the Spring Conference. For complete, up-to-date information, or to register for the conference, visit vbsr.org. Sascha Mayer is the CEO and Co-Founder of Mamava, Inc. in Burlington, Vermont. Mamava designs solutions for nursing mamas on the go, and since 2015 has placed over 550 lactation suites in locations as diverse as airports, sports stadiums, automobile factories, and military bases. Mission driven, women-owned, and a Certified B-Corp, Mamava created a category and is the leading expert in lactation spaces. 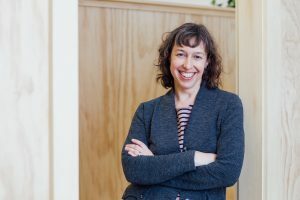 In 2018 Sascha and her Mamava co-founder, Christine Dodson, were the SBA’s Small Business Persons of the Year from Vermont. Sascha also serves on the VBSR Board. How can you use cultural and leadership values, service standards, staff engagement, and process improvements to create a happier customer experience and repeat visits? Come learn from the pros -- Planned Parenthood of Northern New England has some of the highest patient satisfaction scores of any similar medical practice, not only in New England but nationwide. Leaders of high performing socially responsible businesses have a passionate “personal elevator speech” that describes why they do what they do. They know their "why." 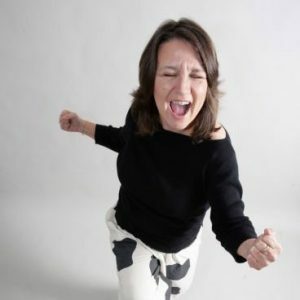 This session will give you tools and ideas for spreading that passion to employees at all levels in the organization and to meaningfully connect them with your organization's mission. Join us for a keynote panel featuring a Q & A with some of Vermont's most inspiring business leaders, underwritten by Mascoma Bank. The panel features Duane Peterson, CEO of SunCommon, Sarah Kaeck, founder of Bee's Wrap and Roberta MacDonald, Senior Vice President of Marketing at Cabot. Sarah Kaeck founded Bee’s Wrap in 2012. Searching for an alternative to disposable plastics in her own kitchen, she developed an all natural, reusable food wrap designed to replace plastic wrap. Originally from Pennsylvania, Sarah settled in Vermont in 2007. Since founding Bee’s Wrap, Kaeck has grown the business to more than 35 employees, and Bee's Wrap is sold widely both nationally and internationally. Roberta is nearing 40 years of consumer product marketing experience, the last 28 of which she has spent as SVP of Marketing for Cabot Creamery Cooperative. She has helped turn the small, farm family owned dairy cooperative into a national player through creative, award-winning and occasionally over-the-top campaigns. Roberta previously served as Vermont's first Marketing Director, a position created for her by Governor Kunin in 1984. She has been recognized with many awards for design, promotions, and high-impact public relations programs, including the highest individual award by B Corps. Roberta is a long-time champion of the co-op movement and speaks frequently on how Cabot rewards volunteers for an indelible brand connection with its farmers’ values. Duane has a varied background. A social entrepreneur, he’s on his 7th career with stints as a medic, police officer, non-profit manager, political campaigner, justice department official, legislative director and values-led business practitioner. He moved to Vermont in 1996 to help Ben use Ben & Jerry’s as a force for social change. After 12 years as Ben’s Chief of Stuff, Duane left to launch his latest venture — SunCommon — to make it easy and affordable for homeowners to help repower Vermont with clean, safe, in-state energy. A Benefit Corporation and a Certified BCorp, SunCommon is Vermont’s largest provider of residential, community and commercial solar business with over 100 employees. Duane has been a part of the VBSR community since 1996, is a member of the Social Venture Network and serves on the Board of Trustees at VPIRG and on the board at VBSR. In 2015 he received the VBSR Terry Ehrich Award for Lifetime Achievement in values-led business. Though economic class is a huge part of workplace diversity, it is hidden, and many of us struggle with how to communicate about it. Come learn why it's hard, and practice strategies for talking about economic realities and bridging economic differences in your workplace. We’ll use trauma-informed tools like practicing vulnerability, interrupting bias, and accountability. Build toward workplace equity and inclusion by learning more about authentic cross class communication. Peek behind the curtain of Let's Grow Kids newly launched pilot program, in consultation with Thrive LLC. Created in response to the Vermont business community's desire to address their employees' child care needs through improved benefits and practices, this new approach to benefits and practices is crucial to Vermont’s economic development. 74% of highly-qualified women who left the workforce said childcare was the triggering factor. High-quality, affordable child care is a crucial two-generation support to our workforce, allowing parents to work and building the next generation of skilled employees. Access to reliable, high-quality child care creates more productive employees and decreases absenteeism. This workshop will include real-life case studies of Vermont businesses that are acting to address the childcare and family needs of their employees, and concrete actions businesses can take to improve their own benefits and practices. "Measure what matters" is well known business knowledge, but how do you know what matters when it comes to your sustainable business? Dive in to the field of sustainability metrics and discover how measurements can drive strategy, innovation, profitability, satisfaction, and more. This workshop will be participatory and it is recommended to bring current sustainability metric scorecards used in your organization and/or take the B-Corp Quick Assessment and bring the results. Can you include your organization's social responsibility in your marketing and be authentic? Using infographics to grab people’s attention and illustrate socially-responsible programs and their benefits and impacts, we’ll discuss ways of showing your organization’s environmental, cultural and community-oriented achievements. Together, we will create an online strategy for a social responsibility campaign using ideas from the group. Hear about the latest important legal (and non-legal) issues and challenges facing growing businesses, in a fun, interactive, gameshow format. From human resources, trademarks and other intellectual property, corporate/organizational, marketing/claims and others -- this workshop is your opportunity to test your knowledge and get answers to your burning legal questions.